Moose is our 100% waterproof boot for women. Designed to fit swollen feet, it has a shock-absorbing, cleated sole which offers good grip underfoot so it’s good for walking. The water-repellent leather is combined with our breathable, windproof and waterproof CosyTex™ membrane to keep feet fresh, warm and dry. Laces that actually stay done up even on walks of 5 miles plus! No nasty cleats to hold the laces – proper eyelets throughout. 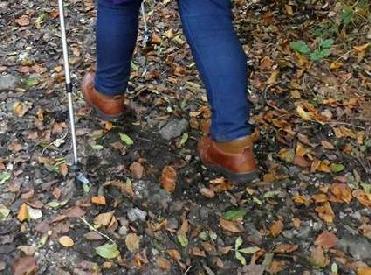 Very soft padded collar – no pressure on Achilles or ankles but feels like lots of support especially on uneven ground. Nice shaped and padded insole which is easily removed if necessary to allow for even quite complex orthotics. Reasonable level of grip on sole but this is only area I can see that could be better – slightly less grip than my usual walking boots. Waterproof even in really muddy conditions – will polish and dubbin them to keep leather in good condition – but definitely waterproof so far.get quite hot in my old boots. Feet stayed nice and cool and comfortable in proper walking socks. Not as heavy as some boots so less drag on the legs. Looks like a substantial boot, gives excellent support, but does not feel heavy or cumbersome. Plenty of depth, without looking like an orthopaedic boot. Able to accommodate a full-length orthotic if liner is removed. Able to accommodate a ¾ orthotic with liner left in. 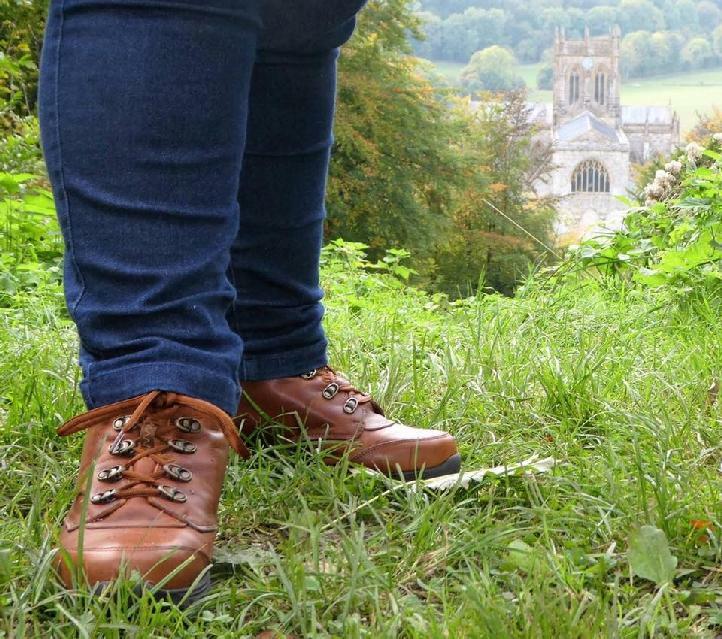 Have done some long walks in the boots – not a sign of soreness, not a single blister even on the first wear. Superbly comfortable, decent sole – can't feel stones through it which is important for me as a diabetic as my feet are sensitive. Soft padded collar gives support without hurting. Feet stay cool and dry. High above Milton Abbey, Dorset at St Catherine’s Chapel – just over half way on a six miler!